A form-based, rather than meaning-based error, but possibly prompted by spelling rather than pronunciation; the error was in writing, after all. Inadvertent errors in retrieving words are common, especially in speech. Some are primarily motivated on phonological grounds, some primarily on semantic grounds, but typically both effects are relevant (some details in a moment). Inadvertent errors in retrieving proper names are particularly common, because everyone experiences a monumental number of proper names, with new ones popping up on a daily basis. 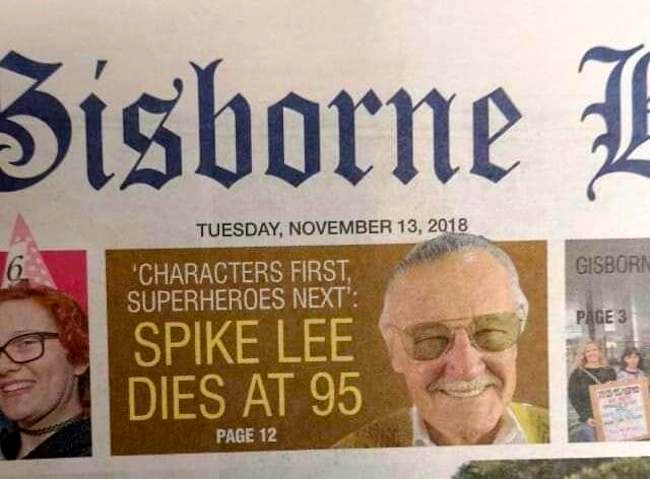 In this context, Spike Lee for Stan Lee would be an entirely unsurprising error in name retrieval. You are currently browsing the archives for the Word retrieval errors category.